Observe Different Plants’ Methods of Capture and Feeding. 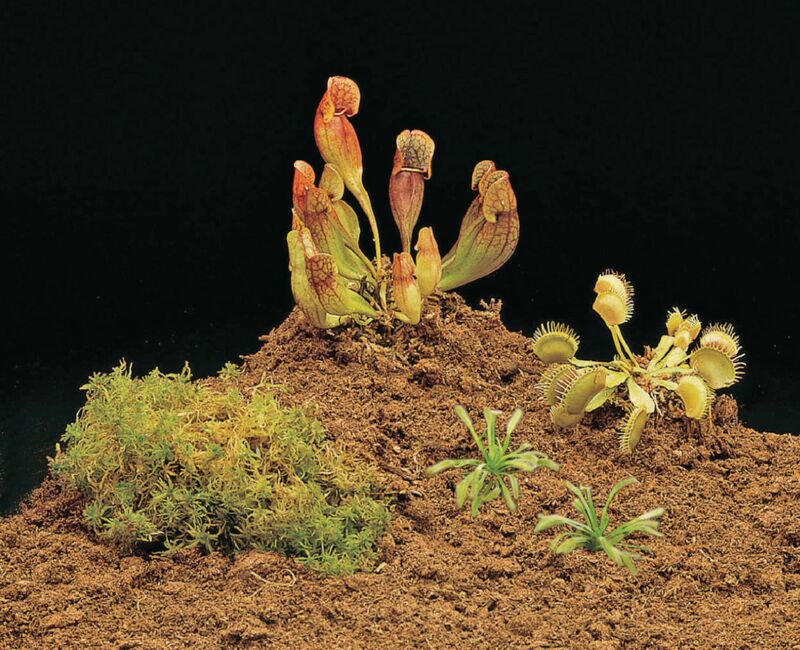 Three types of carnivorous plants are included in this set, allowing students to compare the various ways they capture insects for food. Plants are also available separately. This set of plants includes: 1 Purple Pitcher plants (Sarracenia purpurea), 2 Venus Fly Traps (Dionaea sp.) and 1 Sundew (Drosera sp. ), 1 live piece of sphagnum moss, and soil for potting in your own containers.